The Bush-Whacker Brush Cutter Skid Steer Attachment is a 6 foot skid steer mounted brush mower that can take on the toughest jobs and is durable enough to clear cut standing trees up to 8 inches in diameter. Blades – Two 3/4″ thick alloy spring steel blades mounted on shoulder bolts to allow blades to swing freely. Blades also feature three (3) cutting edges. Deck – 1/4″ steel deck gives rigidity, heavy-duty construction, built to last. Front Chute – Open front chute directs brush into the blades while allowing operator visibility. 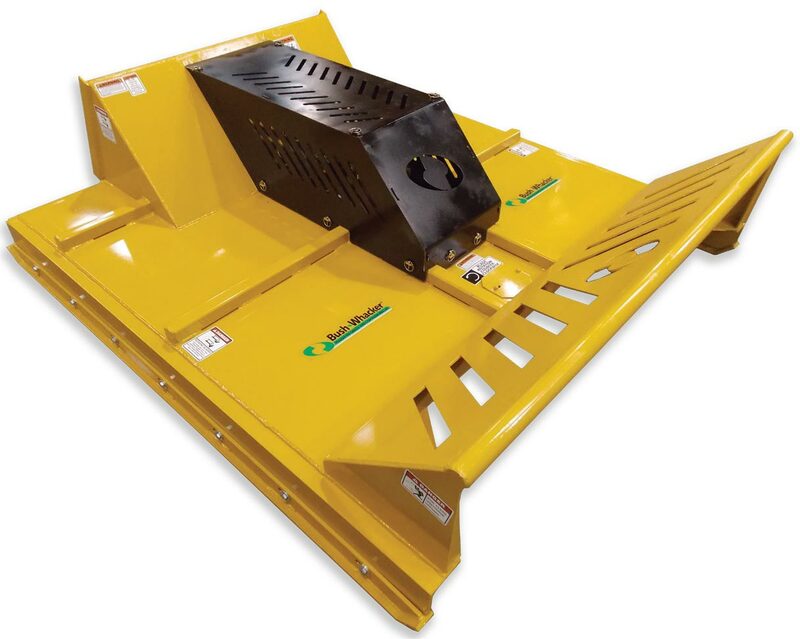 Hydraulic Motor – Quick disconnects attach to skid steer accessory ports. Designed to handle high or low flow hydraulic systems. Hydraulic Specs – The SSM-72L is compatible with any skid steer hydraulic system ranging from 16 – 21 gpm and pressures ranging from 1600 – 2000 psi. Cutting capacity of 8 inches. 1/4″ Heavy Duty US Steel Decking. Top in class cutting width (72″). Heavy-duty to take on the toughest jobs. Ideal flow is 18 GPM, but performs great for machines with 16-21 GPM. Only unit in its class to feature a 3/4″ blade with three (3) cutting edges. 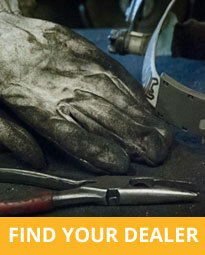 Hall Manufacturing provides a limited warranty of one year on any machine or component.